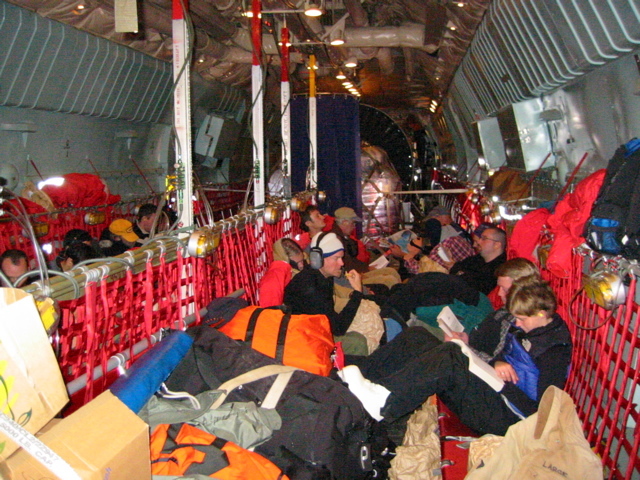 The cargo gets a more comfortable ride to McMurdo than the passengers! 5 hours is a long time to sit like this. You can get up a move around a little, but you have to climb over everybody first.